Hello, all! 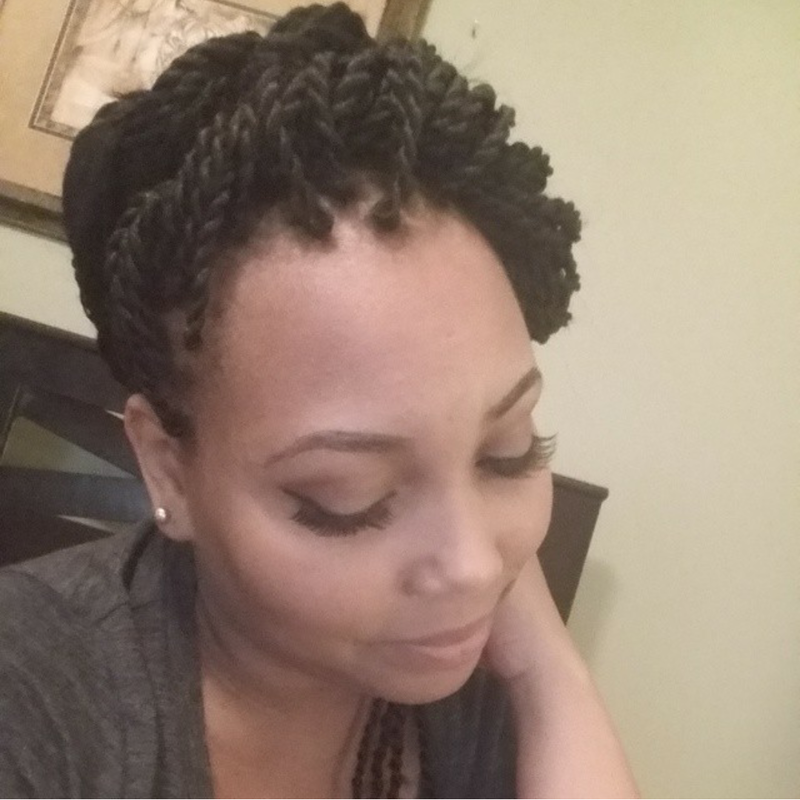 Last weekend I worked on some Senegalese twists with a friend of mine and I wanted to share the results with you. 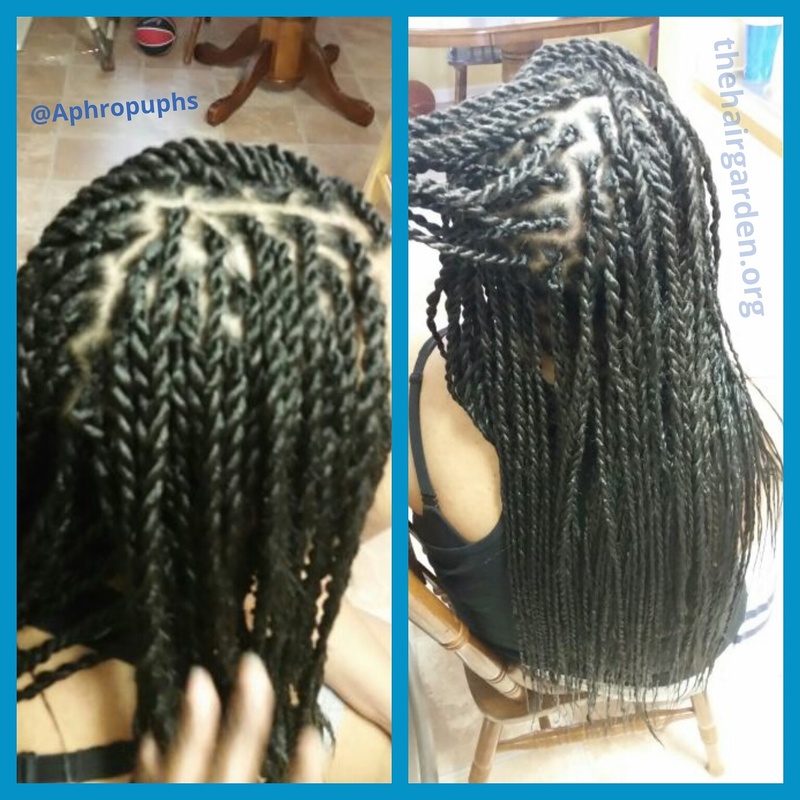 We used some 1B (off black) X-pressions braiding hair. 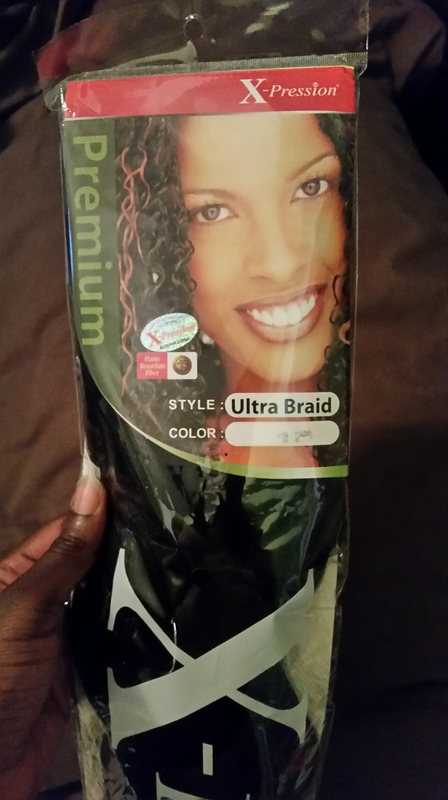 I recommended this brand to her. This particular pack was made in Senegal! Cool, right?! Anyway. she wanted them waist length so we cut the hair in thirds for the perimeter and in halves for the crown and tapered the ends of the extensions. We started in the front and worked out way to the back! Good thing it was a team effort so we were able to cut our work time down a good deal! Here is a photo of only the front that I completed. The whole process, excluding our breaks probably took about 5 to 6 hours. We are old friends so there was a lot of clowning going on during the process! I dipped the ends in hot water and pulled them through a towel. We had fun and the finished results were beautiful! Have you tried this look before? It’s one of my favorites.